The energy is high as we start the trek to VMworld. New and old VMworld team members spring up ready for action, jumping on planes, kicking out blogs, posting on Facebook, tweeting their plans (and speaking slots) and gearing up for another vOdgeball match. 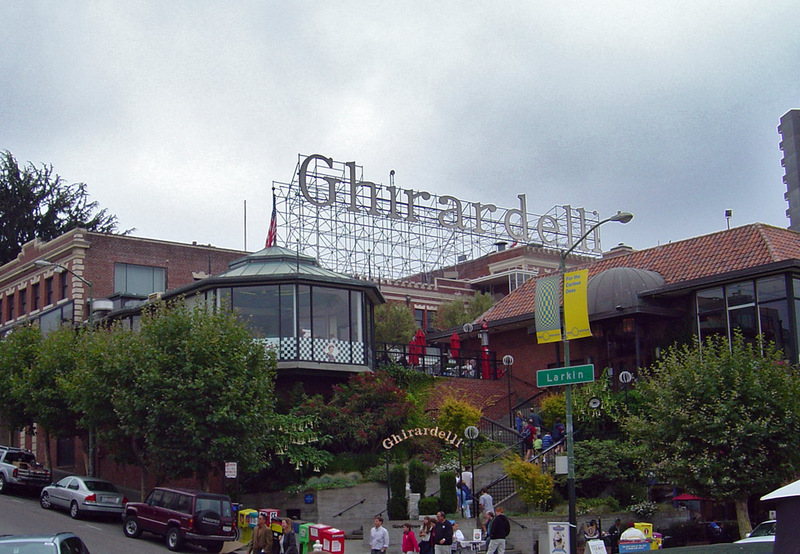 And, most important, the EMC VMworld Party moved from a local restaurant to Ghirardelli Square. Woo – Hoo! It seems like yesterday when Chad Sakac began the journey to build an army of vSpecialists, evangelists in their own right, focused on delivering the message of “Why EMC for VMware”. As Chad’s partners, we worked hand in hand with Rod Gilbert, John Theberge, Wade O’Harrow, Matt Conway, Kara Banosian, Travis Grant, and a host of global leaders to build a best in class, technology alliance, reporting to Frank Hauck, then EMC EVP and VMware executive sponsor. Years later many of us have moved on to new leadership roles, Chad leading EMC’s WW Systems Engineering organization, me EMC’s open source strategy and Frank Hauck becoming President of VCE. 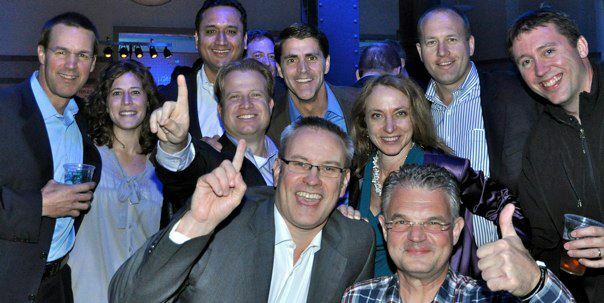 But our roots are strong as we start the journey this weekend to VMworld, some of us as vSpecialists Alumni. This year, I have a new partner, Ed Walsh a former vSpecialist who recently joined EMC’s Office of the CTO. Consider the possibilities when you put two vSpecialists in the CTO office. With a shared passion for doing something completely different, delivering measurable results, and building new communities of partnership we are getting ready to launch the first ever VMworld CTO Roundtable. Our guest speaker will be John Roese, EMC CTO. Additionally I will moderate a panel of experts featuring Scott Lowe VMware and former vSpecialist, Robin Ren, CTO EMC XtremeIO and Andrew Aitken, Founder Open Source Think Tank, and GM Olliance Consulting, a division Black Duck, who will talk about Storage defined networking trends, the experiences of a serial entrepreneur and Open Source strategy, respectively. Join us as we get on the road to VMworld and join me as we look for vSpecialists, and my next blog exploring where they are now in their leadership journey. See you at VMWorld and on the trolley car to Ghirardelli Square. 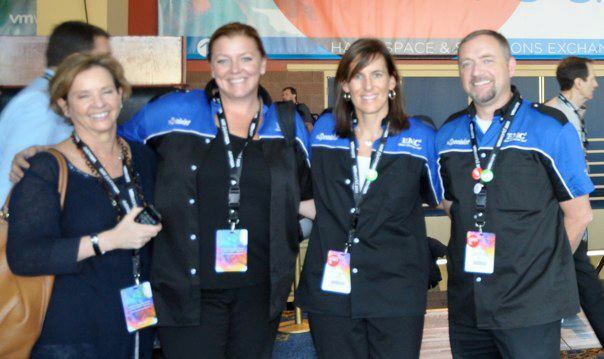 This entry was posted in Innovation Thought Leadership and tagged Black Duck, Chad Sakac, Ed Walsh, EMC, innovation, Sheryl Chamberlain, VMworld on August 24, 2013 by Sheryl Chamberlain. Wherever you go, whatever you do, the most effective tool you bring with you is the brand called “You.” My brand, cultivated over time, reflects my vision and passion of being an agent of change leading innovation in the corporate world. For me, this involves helping others find their unique gifts and then orchestrating the sharing of those talents to innovate new ways to contribute to the organization’s success. These collaborative efforts provide personal growth, development, and meaningfulness for us as individuals as well. Truly, this is a winning combination in a competitive global world. Many leaders from different industries have tied their brand to ground-breaking innovations. I personally admire, and strive to emulate, those who have paid it forward, setting the stage for the next generation of leaders and innovators. When preparing for a recent keynote at USENIX, I took the opportunity to showcase women leaders who transformed their respective industries. Part of my message was highlighting how, in this increasingly connected world, we still need to depend on others to achieve success and meaning in life. Kay Koplovitz, founder of USA Network, was the visionary who conceptualized satellite-based networks. She also created the business model for cable networks by introducing the concept of two revenue streams—licensing and advertising. When she founded USA Network under the banner of Madison Square Garden Sports in 1977, she was the first woman to head a television network. But she didn’t stop there. Understanding that access to startup capital has consistently been cited as the biggest pain point for female entrepreneurs, she founded venture-catalyst Springboard Enterprises to help women build ”big businesses starting small.” Over 500 women-led companies have participated in Springboard’s accelerator programs, raising nearly $6 billion. 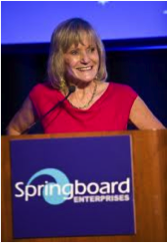 Of note, more than 80% of Springboard companies are still in business as independent or merged entities, including 10 IPOs, and many are the technology engines of publicly traded companies. Astronaut Sally Ride, the first American woman in space, also founded Sally Ride Science and Sally Ride Camps to encourage girls’ interest in science and technology. The girls, who are at the middle-school level, participate in innovative, hands-on science learning activities in an environment that designed to be supportive, enriching, and—most importantly—fun! 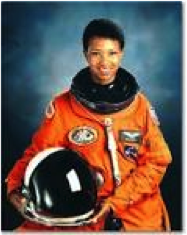 Following Dr. Ride’s footsteps, Dr. Mae Jemison became the first African-American woman to travel in space in 1992. She resigned from NASA in 1993 to form a company researching the application of technology to daily life: 100 Year Starship. The organization designs and implements independent, collaborative, and open-source projects to advance and promote the public engagement, research, development, and capabilities needed for humans to reach another star. 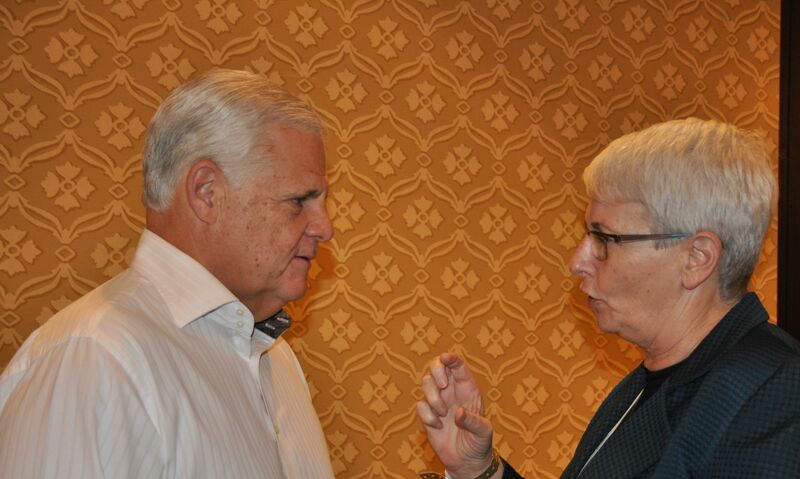 Another woman who has had an impact on an entire country and the global startup community is Dr. Orna Berry. Prior to joining EMC as the first Corporate VP and GM of the Israel Center of Excellence, Dr. Berry was the Chief Scientist in Israel’s Ministry of Industry, Trade, and Labor. One of her strengths is bringing together communities of leaders and innovators to identify a gap in a market, and then racing to identify a solution. 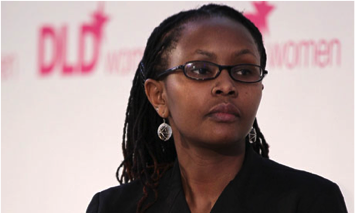 Combining technology and social entrepreneurship, Juliana Rotich founded “Ushahidi” , which means “testimony” in Swahili. This platform was initially developed to map reports of violence in Kenya after the post-election fallout at the beginning of 2008. Since then, the name “Ushahidi” has come to represent the people behind the “Ushahidi Platform” web tools for crowdsourcing crisis information and reporting on topics related to the environment. Each of these women was a pioneer in her own field, and each used her success to help others. All have a global perspective and consistently reach outside their normal sphere of influence. In taking these leadership lessons to heart, you should note that it’s important to first figure out what you care about most, tie your brand to your vision, and remember that success is not only about the body of work you deliver, but the impact you can have on your community and beyond. Reach for your true dreams and goals and don’t be afraid to innovate. Goals are the starting point to taking action, building a plan, realizing your brand, and using your best talents more often. This entry was posted in Innovation Thought Leadership, Women In Technology and tagged EMC, EMC Women's Leadership Forum West Coast, Gail Deegan, innovation, innovation station, Joe Tucci, Kay Koplovitz, Mae Jamison, mentors, Orna Berry, pay it forward, ride camps, Sally Ride, Sheryl Chamberlain, springboard enterprises, Stacey Schaeffer, Women's Leadership Forum on August 1, 2013 by Sheryl Chamberlain.